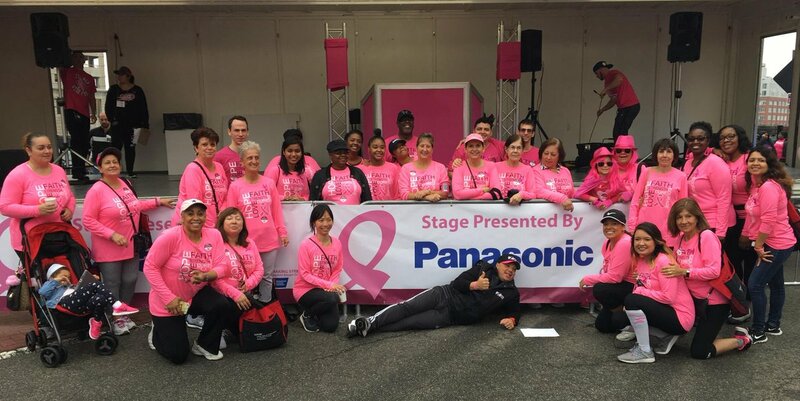 Panasonic Teams From Across The Country Join in on the Fight Against Breast Cancer | Industry Analysts, Inc.
Panasonic employees from across the country came together for a recent Breast Cancer Awareness event. It seems Panasonic is always getting behind great causes and this event comes on the heels of their announcement as a Platinum Sponsor for the upcoming Jillian Gala dinner in November. We applaud Panasonic and all they do for our community! This entry was posted in Panasonic and tagged panasonic by IA Staff. Bookmark the permalink.